Buffalo Mass Mob begins its sixth year by heading to the city’s Blessed Sacrament R.C. Church on Sunday, January 27th, 2019 for 11:00am Mass. Blessed Sacrament has an interesting history. Blessed Sacrament Church, Buffalo, has enjoyed a very long and distinguished history closely linked to several of the bishops of the Diocese of Buffalo. 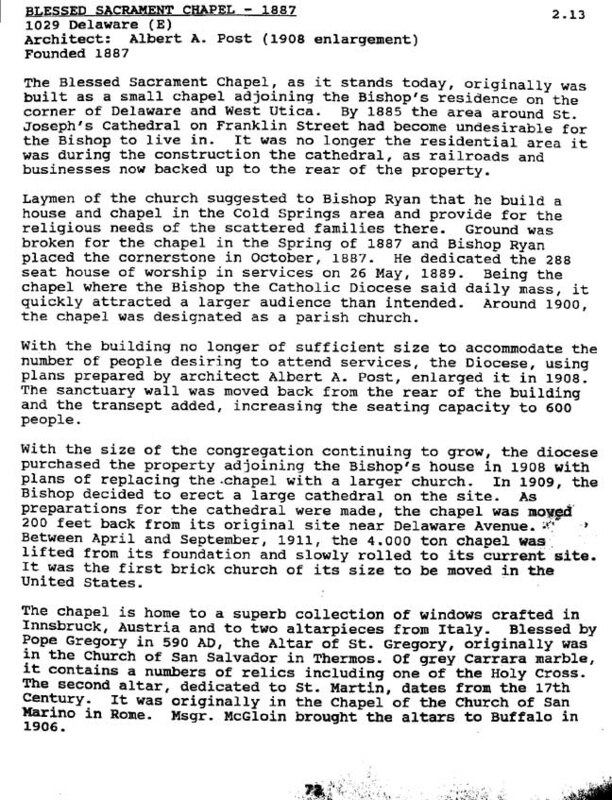 Founded in 1887 as the chapel for the second Bishop of Buffalo, Bishop Stephen Vincent Ryan, the chapel was soon expanded to meet the needs of a growing congregation and named Blessed Sacrament Church. A growing city and a growing Catholic population called for even more expansion and plans were put in place to build a new cathedral adjacent to the church that would hold 1,500 people. In 1915, St. Joseph’s New Cathedral was dedicated. However, after sixty short years, the Cathedral was demolished due to severely deteriorating materials that could not withstand the Buffalo winters. At this point, in 1976, the parish was recommissioned, once again, as Blessed Sacrament Church. This history comes from the Buffalo as an Architectural Museum website. The Rev. 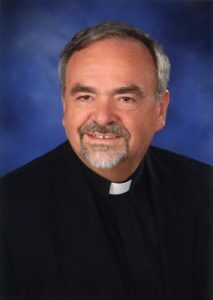 Paul R. Bossi is the current pastor of Blessed Sacrament. The parish is excited to have Buffalo Mass Mob come to church. And we are equally excited to bring the Mass Mob to this wonderful church. We will be posting more details in the coming weeks about Mass Mob XXXI. Blessed Sacrament Church’s website, http://blessedsacramentbuffalo.org/ and Facebook page, https://www.facebook.com/blessedsacramentbuffalo/. This entry was posted in Buffalo Mass Mob, News and tagged Blessed Sacrament Church, Buffalo, Mass Mob by Christopher Byrd. Bookmark the permalink.